The XKR was due for its annual MOT and so I did a quick check of the usual items, lights, horn, tyres etc. It turns out the front fog lights did not want to come on. 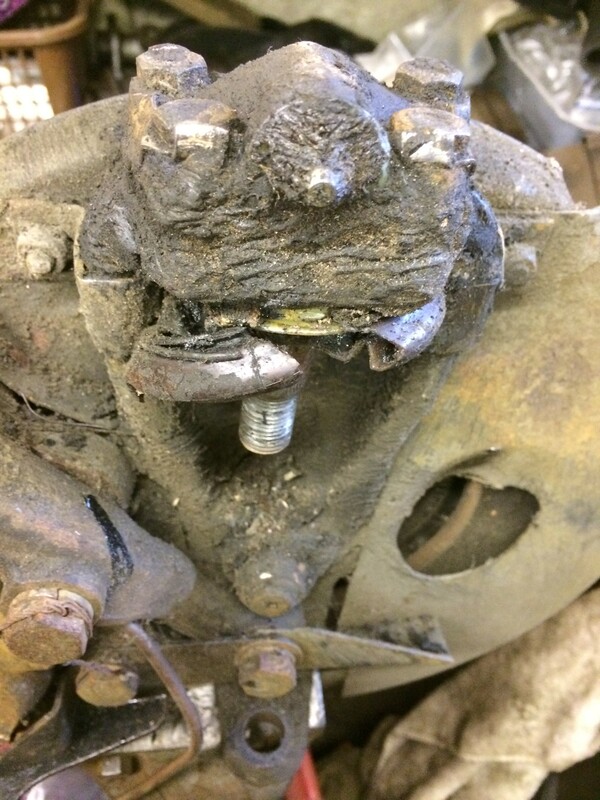 This is an MOT failure so needed to be fixed. 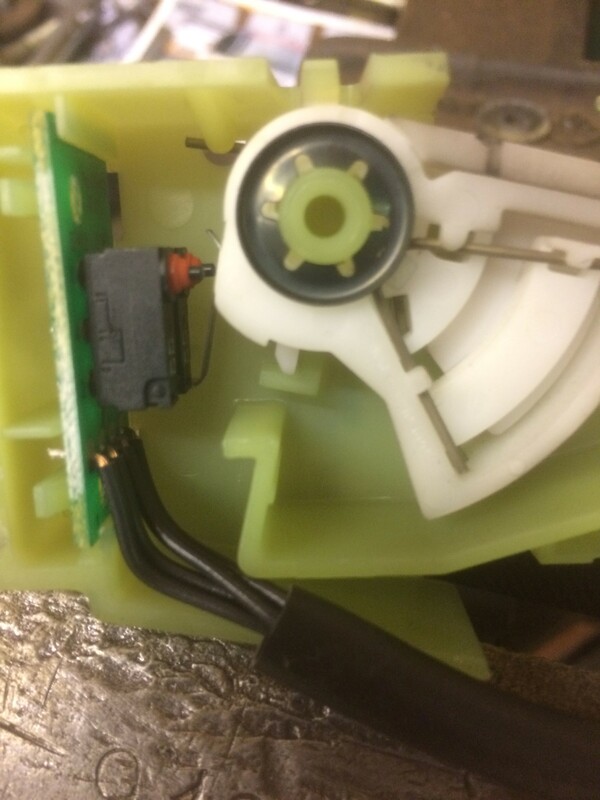 I started debugging by looking at the Fog Lamp relay. It had power and if I connected the drive to the relay coil to ground, on came the lights with no issue. Obviously it was the switching side of things. 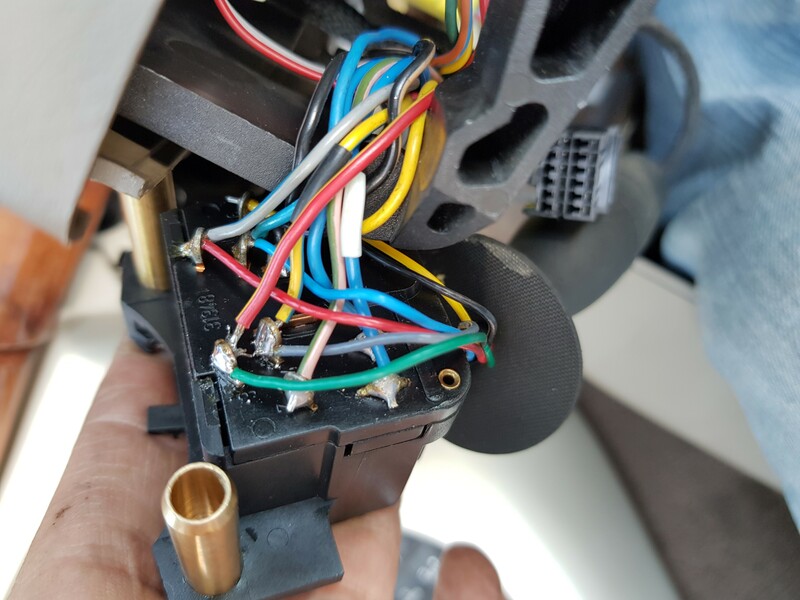 I took the centre console out and then the switch assembly. It looked fine and I confirmed that the switch (a momentary short to ground) was working fine. I then turned my attention to the Body Controller unit which is behind the passenger side “cubby hole” it was a bit if a pain to get it out. Once out I took it apart looking for signs of dry joints, heated components etc. No such luck so I tested the continuity of the wires involved and all seemed OK. I put it all back together and went for a drive, still the same. A few days later I drove it at night for the first time in a while and noticed that the dashboard lights went off when the headlights were turned on. Side lights were fine, dashboard lights worked when they were on. 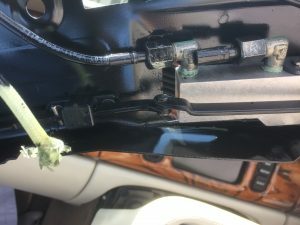 So this led me to believe there was an issue with the indicator/light stalk. 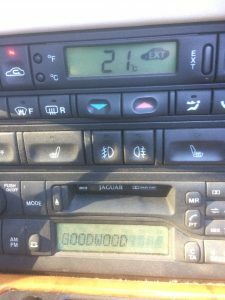 The auto function had never worked since I had owner the car and now it looked like there was a secondary issue with it. 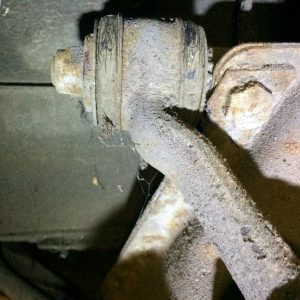 A quick look on youtube followed, on how to remove the covers around the steering column and then worse case, take off the steering wheel. 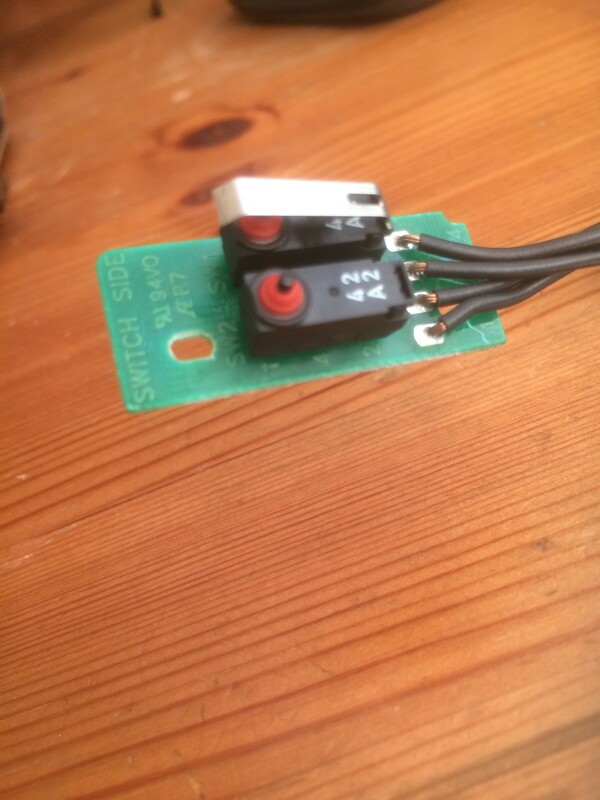 Having removed the covers, it was immediately apparent the issue was due to two wires no longer connected to the switch as per the photo. There was no easy way to tell where they came from so I had to take the steering wheel off and get a better look. I carefully removed the airbag having disconnected the battery and shorted the live to chassis to discharge any residual current in the system. Removed the two screws holding in the switch and then I could clearly see the pins and wires. A close look with a magnifying glass revealed two contacts on the switch showed signs of the remains of broken wires. I did spend a little while trying to identify which wire went where. I also did some internet searching as well but failed to identify which way round they went. The circuit diagrams do not go into the level of detail between the stalk and the external cabling plugs. Well there were only two wires so not a lot of choices. I decided the longest wire, the green one went on the outside and the other went to the inner contact. I soldered these on and hey presto, the front fog lights now worked. A few hours later I tested it in the dark and I had also fixed the dashboard lights and the auto function also worked! 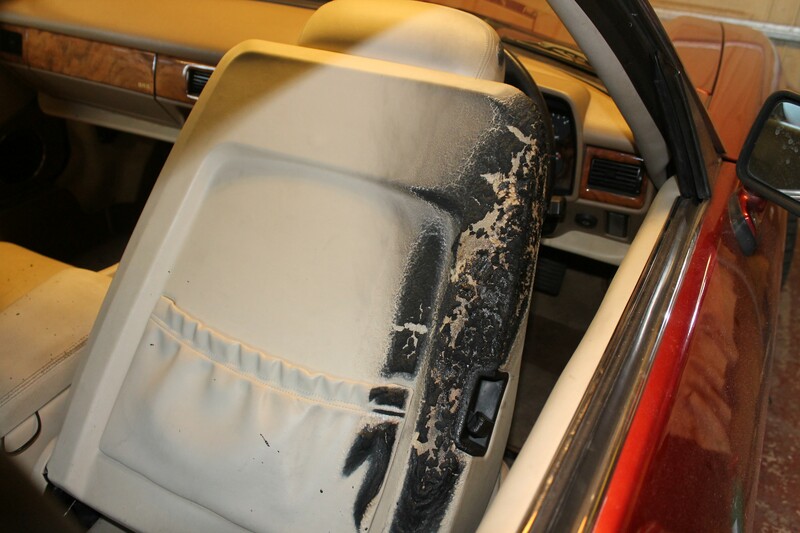 Some of you may well have heard about the “XK Convertible Green Shower” issue. 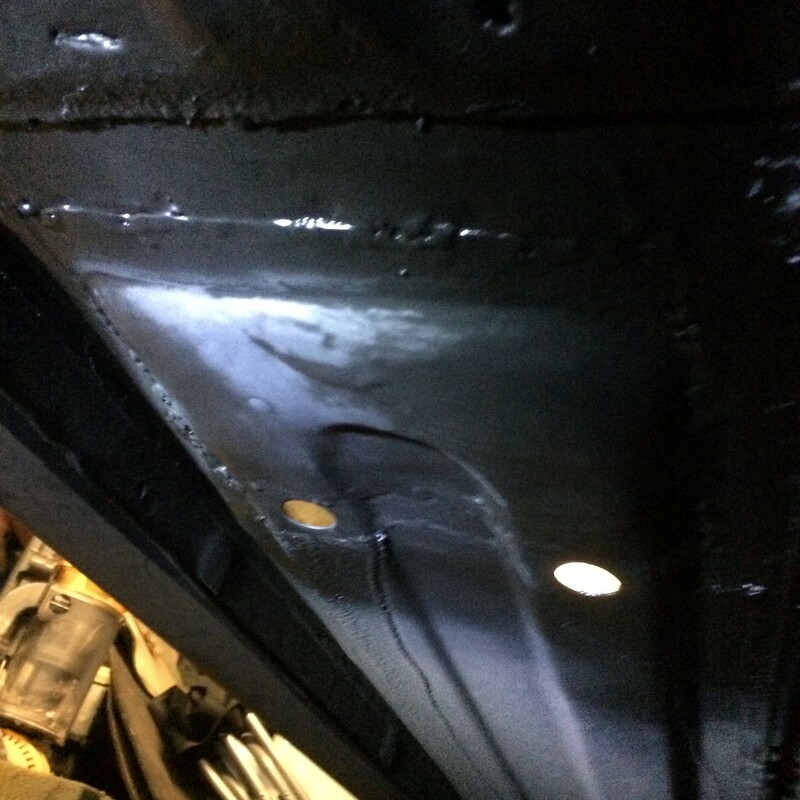 It is caused by the hydraulic pipes that drive the convertible roof latch degrade over time and then leak. This then drips/pours through the grill in the overhead console and covers mainly the gear lever/centre console and splashes you too. I had heard of this and I had seen a pipe replacement and a pump replacement in the service history for my car. Well it turns out they only changed one of the pipes and the second failed a few years later as per the images. The previous repair was to swap out only part of the pipe rather than the whole pipe. This allows for just the removal of the windscreen surrounding interior panels rather than the major job to replace the whole pipe/s. 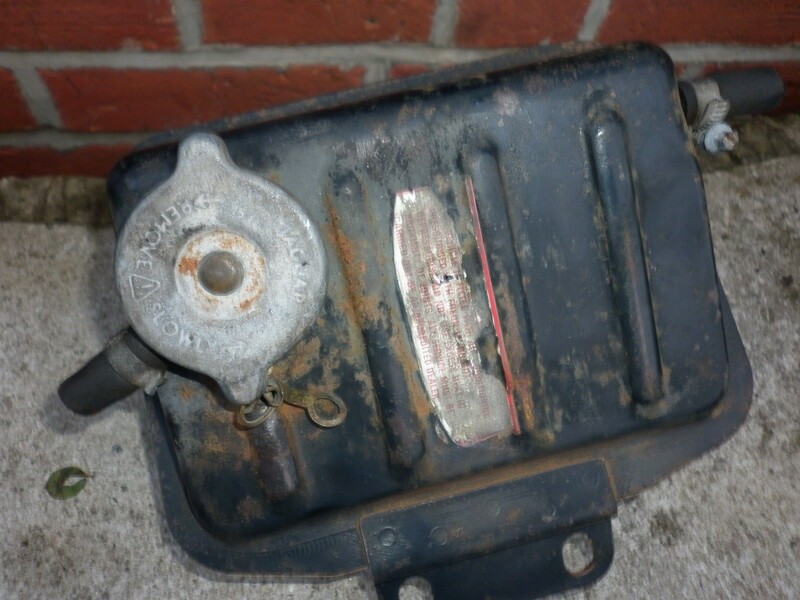 This was an official repair option which jaguar later stopped supplying. Having done some research on the various forums I tracked down a replacement set of pipes with a higher pressure rating than the Jaguar ones. I decided this was a better option as I did not want to use the Jaguar ones again plus these were also higher rated and cheaper. 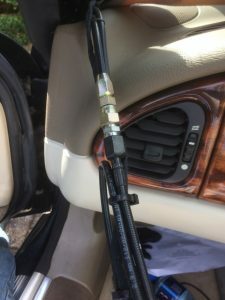 The ones I purchased were from CRH https://www.cabriolet-roof-hoses.com/ and I just went for both front hoses at £109:98. I also purchased the some replacement oil from amazon “febi bilstein 06161 Hydraulic Fluid (Green) 1 Litre” You only need one Litre. I also watched all the 9 episodes of a DIY repair on youtube https://youtu.be/5DuIuveFbHE there are 9 episodes. If you start watching these you will also see one pop up in the viewing list with a warning trying to tell you it is not an easy repair and to call him to do it for you. Sure, are you coming over to the UK to do it for me? I would recommend attaching the pipes to both ends before putting the interior back as I needed to lose a little bit of slack. I did this alongside the centre console rather than in the foot well. Once fitted I did a few open and close sequences and it works fine. Put the various interior parts back in taking the opportunity to clean those parts not easily accessed when fully assembled. If you are reasonably handy then I would definitely recommend attempting the repair and watching the Youtube video. Its been 10 months and I have not been able to do anything to the XJ6 other than pile stuff up on it! I have made some drawings and discussed with the local planning office what is an acceptable option regarding expanding the garage. More to follow once I get planning approved. I have however been carrying out a number of repairs and maintenance tasks to the family cars since my last update. Also fitted a kitchen and all sorts of other non car related tasks! I still have a fairly regular “restricted Performance” error message. 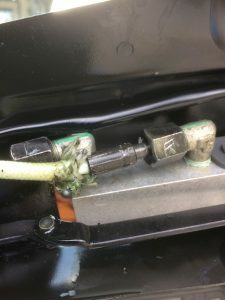 I have twice looked though all the intake piping for leaks but struggling to resolve this error. Changed disks and pads all round. A week later the brake fluid level light came on and further investigation revealed I had a leak from the drivers side rear caliper. 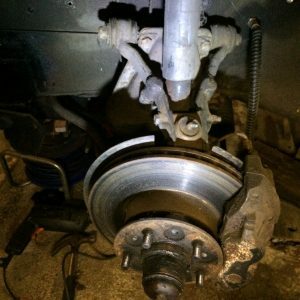 I replaced the caliper with a refurbished one from a local auto factors however it had an issue with the automatic handbrake adjustment. After a few miles and applying the hand brake a couple of times, the pads remained pushed up against the disk. This caused binding and overheating. I rewound the caliper back in again and went on a long trip to Le Mans without using the handbrake. Whilst there it started to bind up again. I removed the caliper and wound the piston back in and it was OK for a few miles then did the same again. I then wound the piston back in again but this time left the handbrake cable disconnected. We drove back from France quite happily. After about a week of driving without issue I reconnected the handbrake. 5 miles later, binding again. The Auto factors were great and swapped out the faulty one without issue. We drove the car for a further couple of weeks without issue before returning the original old caliper to get the deposit back. We were getting ODB” error messages pointing to one of the 02 sensors. Because I was so busy with the house, we dropped it off at the local garage. They changed an 02 sensor and it worked for a couple of days but the error returned. 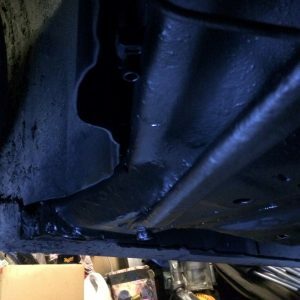 The garage said they used a “replacement” part and swapped it out for a genuine Jaguar part. It lasted another two days before the error came back again. 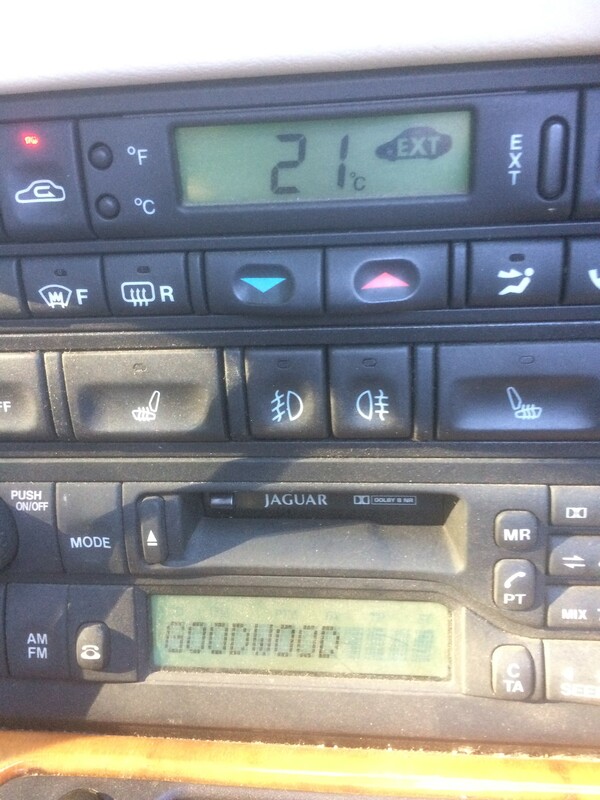 The garage then looked at it and said there must be an error with the loom so take it to a jaguar dealer. I decided it was time for me to get involved and noticed that the error message was different to the one we initially had. It too, pointed an 02 sensor, bank 1 upstream. 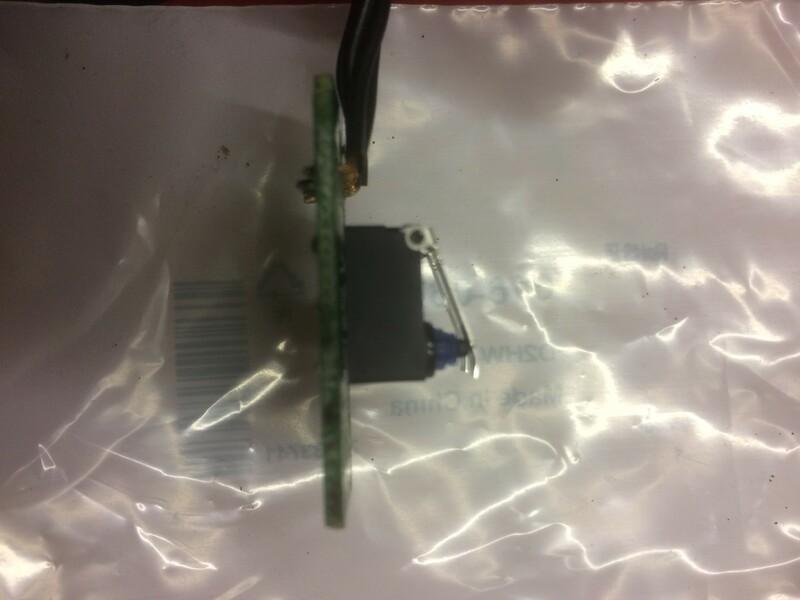 I took of the connector and measured across the heater pins. It was reading ~1.6k ohms where as the bank 2 sensor was reading just an ohm or two. I ordered a replacement from S & G Barratt part number C2S51801# which is an alternative (SNG Barratt recommended) part. It costs £75 +VAT compared to £134 +VAT for the Jaguar original. It was a bit of a pain to remove the old one but managed to get there and problem has been resolved for over a month now. Having attended the Le Mans Classic with me for the second time, my daughter decided that she wanted a classic car as her first car. We ended up with a 1976 MG Midget 1500. It is a little rough around the edges but nothing a little finessing from me cant resolve. Yet another car to add to the endless list of jobs. Especially with a front suspension requiring a grease every 1500 miles! We have moved home and that also meant I had to move my garage and all of its contents. 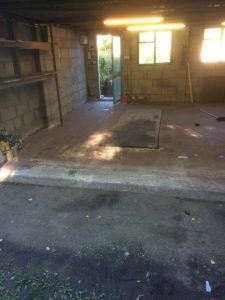 There was no way a removal company would touch moving all of the junk I had spread across three garages. To give you an idea, this is what it looked like with a week to go to the move. I quickly attached the doors and wings to the car so I had less items to move. The bonnet was attached the next day. The mountain of items and boxes to the right of the car were those I had already packed. There is a long length single garage attached to the right of this double that also had a lot if items in it. The process I decided to follow in the end was to rent a 20 foot container about 3 miles away, move all the stuff there prior to the move with a Luton type tail lift truck. I then emptied the container using another truck a couple of weeks later. All in all it was a total of 6 journeys using the biggest Luton available. My brother has an “A” frame towing device which we used to tow the Jaguar to its new location. There is no prop-shaft installed at the moment so no issues with towing with an automatic gearbox. 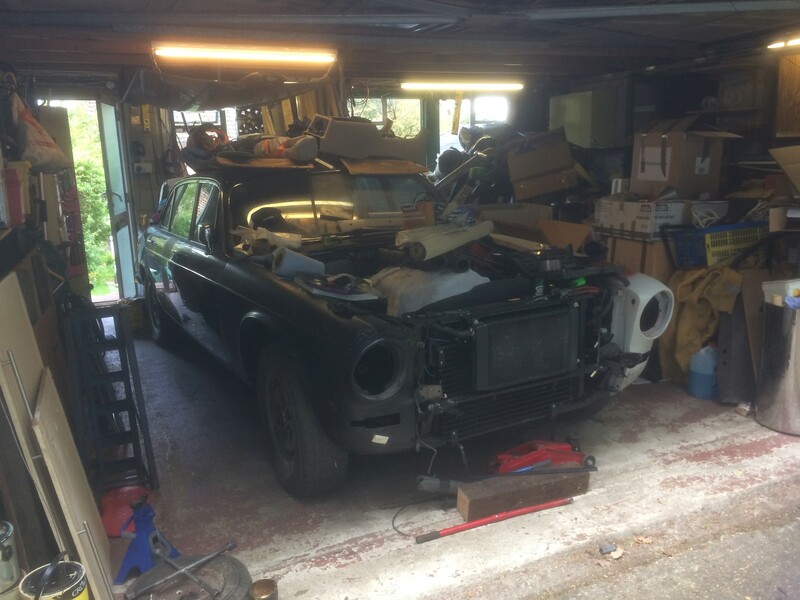 The Jaguar arrived in its new home unscathed although there was a nasty squeak coming from the rear end. Something else to look into when things get a little more organised. I only have a two reasonably wide single garages at my new house so I have plans to modify them significantly. Ideally I want to make it into a much bigger double with the extra height to have a couple of lifts installed. 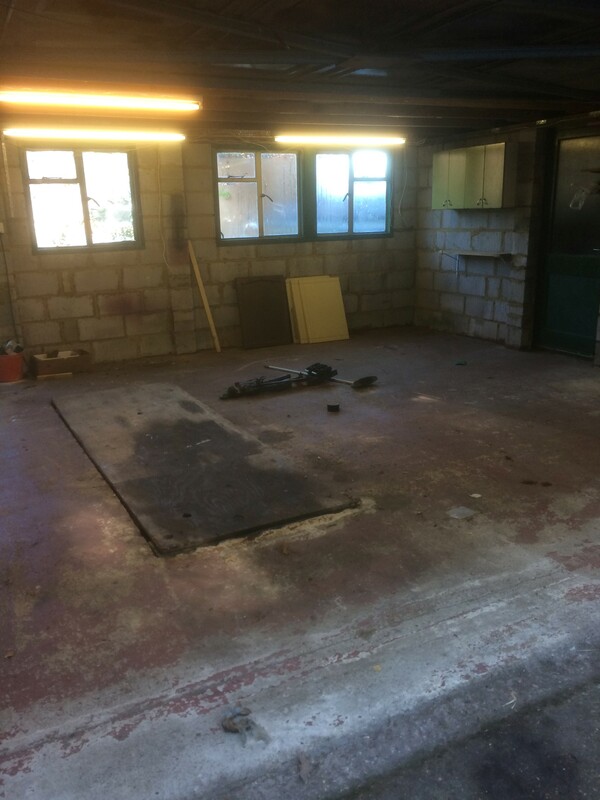 The empty garage looked a bit sad, so was I having built it about 20 years ago. Many a fun evening spent pottering around in there! Recently I started getting an error message scrolling between “Check Rear Lights” and “Cruise Control not available”. It turns out after a little research that this is due to the Brake Switch. This switch is a real pig to change. 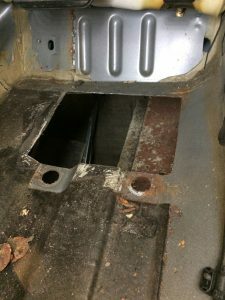 There is very little room to remove and refit the part plus you have to lay upside down in the foot well to get any chance of reinstalling it. 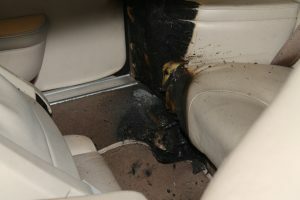 Following the various posts on the Jaguar forum it appears that this is a common issue. On removal of the switch, I found that one of the metal levers on one of the micro switches had snapped off, probably due to fatigue. I found the missing piece in the foot well but as it had snapped off, there was nothing to do except replace the switch. A quick look around on the various suppliers plus that well known auction site I found them available but at a high price. Jaguar spare suppliers were around £115 plus delivery and second hand around £50. Well I thought to myself, the micro switches are just soldered in so if I could find a replacement then it would no doubt be much cheaper! The original ones were manufactured by Cherry and had A2 42 printed on them. 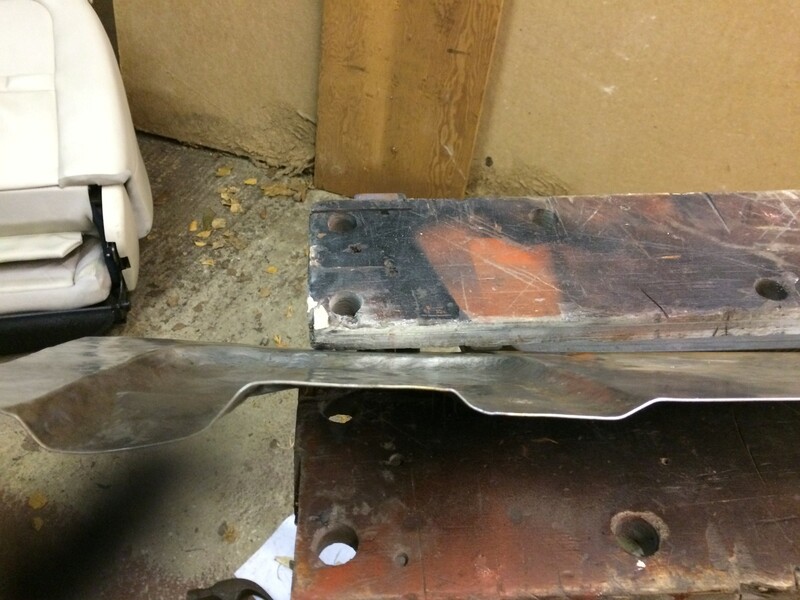 That did not seem to help much, however reading the posts on the Jaguar Forum page a little closer and a very helpful member called Jima had posted a suitable replacement part. (Omron D2HW-A211D sub-miniature micro-switch). 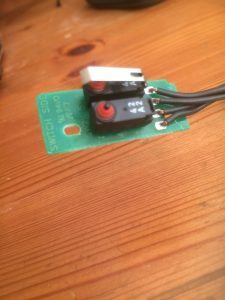 These are available from a number of places but I used RS components The micro switches were only 98 pence each so I purchased three of them just in case. The picture on tier website did not look correct as it had three cables connected but they were in fact perfect. The hinge is not the same design as the originals but they work fine. I did put a slight bend in the end of the hinge and also spent a little time fine tuning them once installed to get them both to click on/off at the same time. 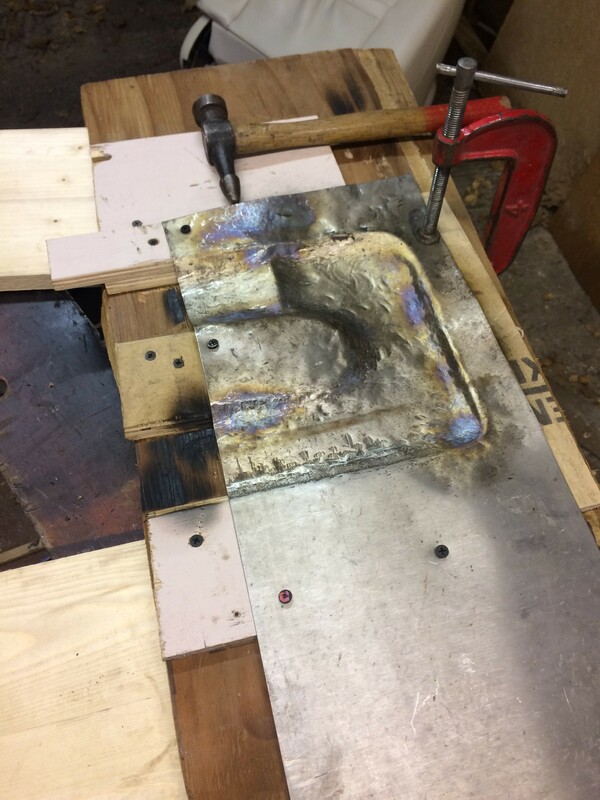 The image below shows the slight bend I put into the hinge. Getting the switch back in place was the real challenge. A tip on the Jaguar forum mentioned using some thread to help align the bracket. I did try using some fine wire wrapped around the two threaded pins and though the holes in the bulkhead. This on its own failed to get it lined up properly. In the end I had to remove the drivers seat and lie upside down in the foot well. 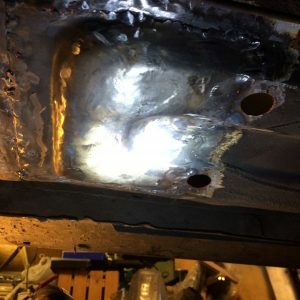 Using a light shining into the engine bay I could see roughly where the holes were. Using the wire and the light I eventually managed to get it back in. I checked the positioning of the adjuster in the switch which you can see in the image of the “Rear of the Brake Switch” above. A quick test drive and all was working fine. All in all a great result and best of all it only cost less than £5 to fix it. There was however one slight drawback. I did the work outside so I could have the door open and roof down to get better access. The local mosquitoes/midges took a liking to my midriff and I now have a large number of very itchy bites. The suffering we have to go through to keep our beloved Jaguars on the road! 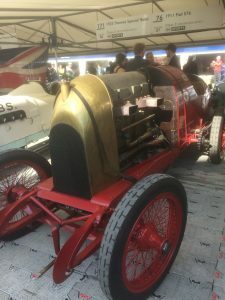 As a long term Le Mans 24 hour visitor I gave it a miss this year and decided to take my wife to the Goodwood Festival of Speed. It was a great event which we both enjoyed. We attended both the Saturday and Sunday. There was beautiful weather and fabulous cars, what more could you possibly want. There were a a few highlights, Jaguar winning the hillclimb event in a XJR-12D in a nail biting finish. My second favourite was seeing a rather unusual looking 1911 Fiat. It was built around a really tall and narrow engine with just what looked liked vents coming out of the side for exhausts. Seeing flames pour out of the side as it made its way up the hill was a sight to behold. I also happened to be standing next to the Williams Renault of Nigel Mansell when they started it up and showed off the amazing active suspension system (see the video). The weather was great, this was taken on the way to the hotel on the Saturday evening at around 6PM so still very pleasant temperature with the roof down in the XKR. I would suggest you also go for the Grandstand seat option. We had done for the second day. You can go in any one of the public Grandstands assuming you can find a space. (There are a few company ones that you cant go in) We sat in one along the straight in front of the house for a while. you get to see some of the cars doing doughnuts there and generally hooning about. For the close of the day we went further up the hill at Molecombe Corner and watched them enter the bend trying desperately to scrub of some speed. I have manage to get a ticket to the Strata Hadoop Conference this week. It looks like it is going to be very interesting. I have a gold ticket which allows access to the training sessions on Tuesday so that’s my first day. I also have to help out on the company stand on Wednesday and Thursday but I am sure I will attend at least some of the keynotes. I’ll post my review following the visit. 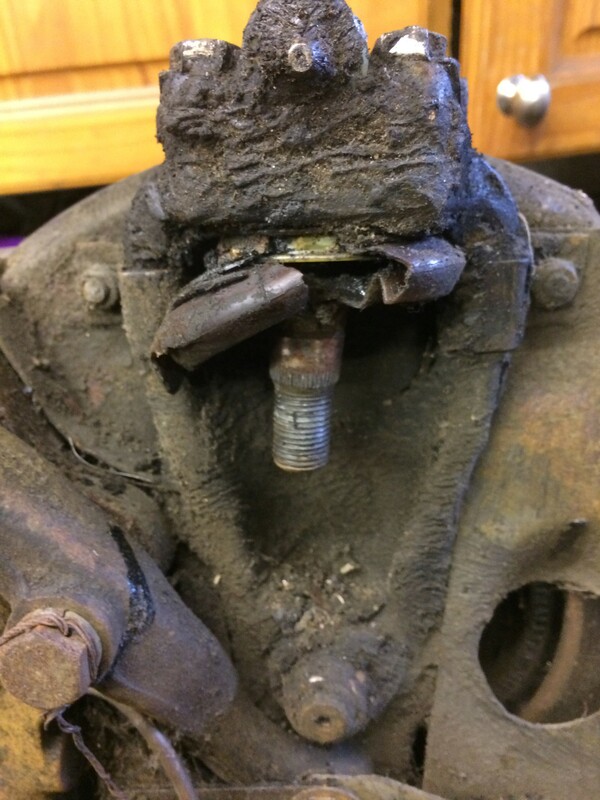 The front suspension had not been touched in years. The track rod ends although were probably OK wear wise but looked bad because the rubber “boots” were perished. The “boots” on the lower ball joints looked bad too. Springs, shock absorbers and all the bushes looked rusty and worse for wear. 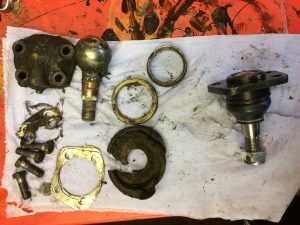 I therefore decide to replace all rubber bushes and ball joints and clean up as I went along. First thing was to order all the associated parts from a few suppliers attempting to get the best price and availability. I had already changed the front subframe bushes with poly bushes however I went with standard rubber for the rest. Of course I could not resist cleaning and painting along the way and so it took a lot longer than I thought it would. I have still one side to reassemble but the drivers side is now complete. It looks reasonably good even if I say so myself. during this rebuild, I am not after concourse or any thing close to it. I just want it to not look rusty and work the way it should. 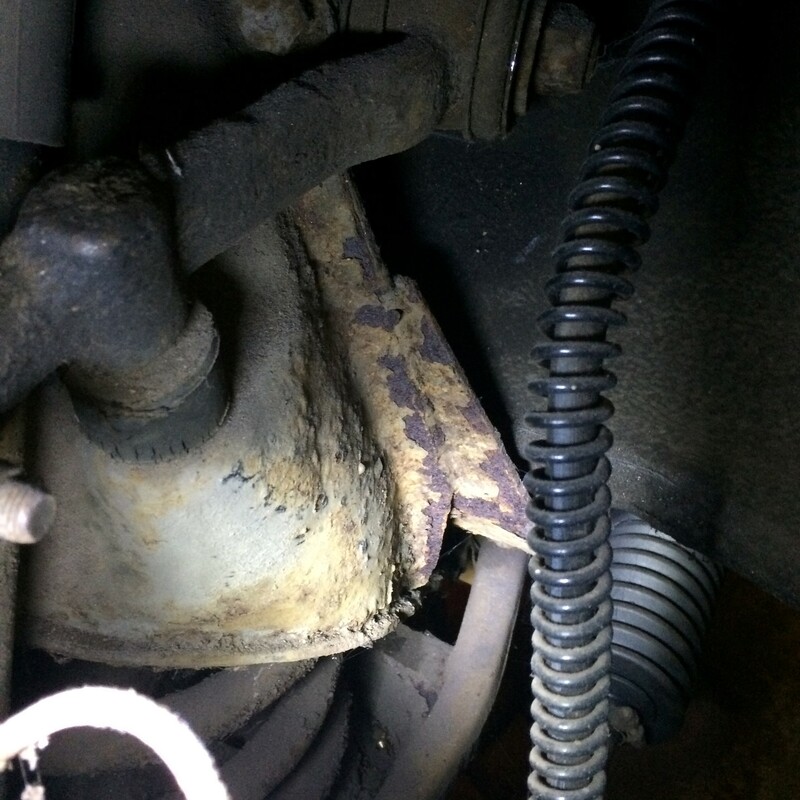 Top of spring assembly – a little rusty and you can see the perished rubber on the bump stop. 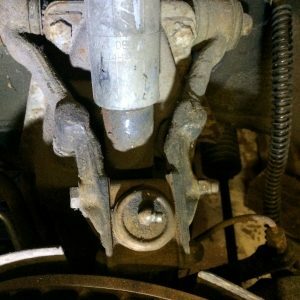 As from the first pictures in this post, you can see the split ball joint covers, if nothing else needed replacing. Removal of the lower ball joint was pretty straight forward and resulted in the items pictured below along with the more modern, single piece replacement on the right hand side. 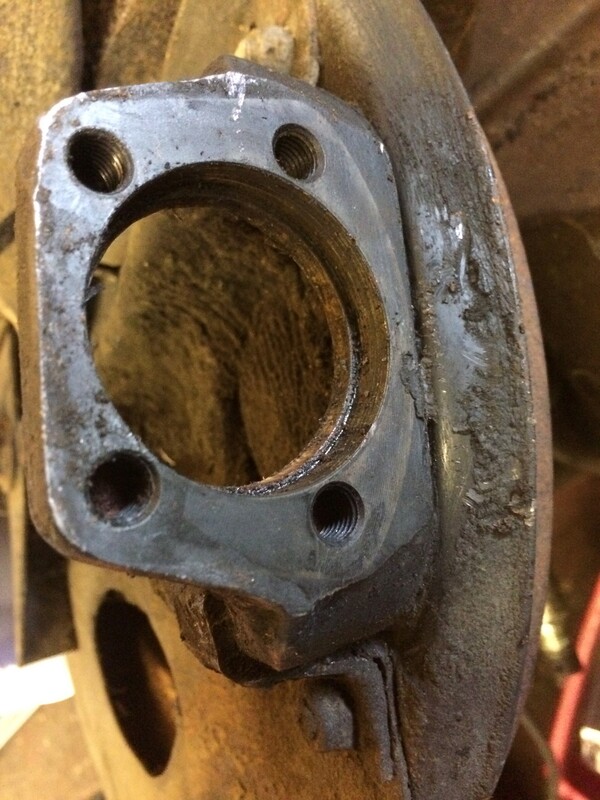 You do have to remove the metal ring insert prior to fitting the new style ball joint. 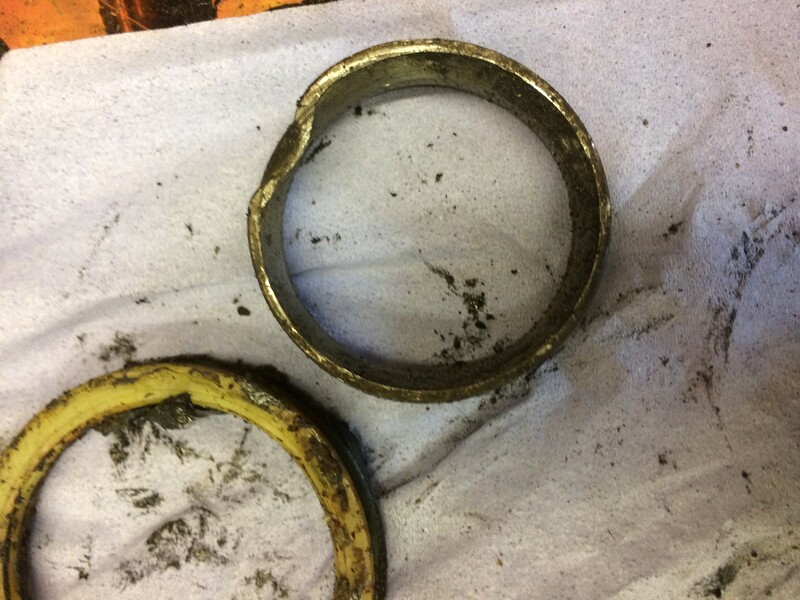 There was some damage caused to the metal ring during removal in this image. This is the ring that needs to be removed to make way for the replacement ball joint. It will not be used again. The only non standard thing I did was to not insert all of the spacer rings at the top of the springs. The XJR engine is an Aluminium block rather than the cast block of the original XJ6 engine. It seemed to make sense that the front of the car would therefore sit a little higher with a lighter engine installed. With that in mind I left out the two, quarter inch thick nylon/plastic ring spacers back on the top of the springs. I might come to regret that decision so we will have to wait and see. 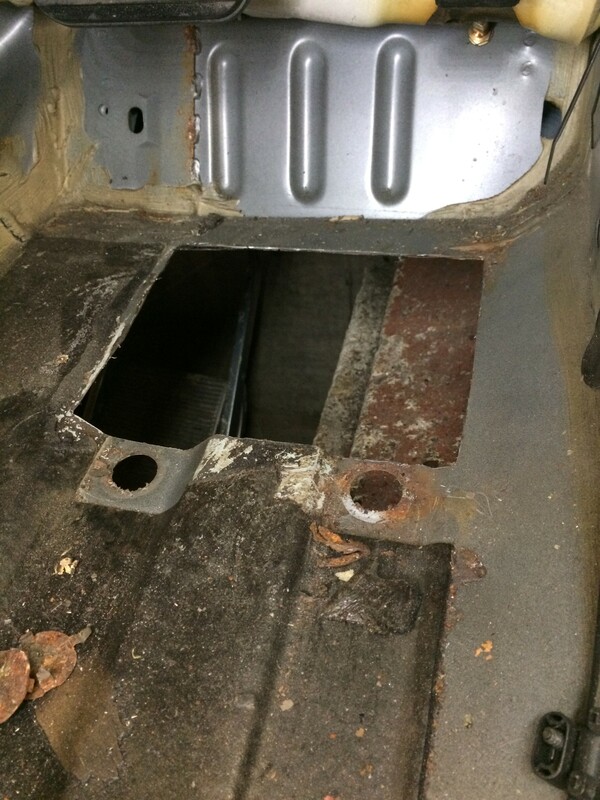 As per my old XJS, the XKR has a similar floor pan with a small metal plate welded onto the underside of the floor. It is around about where the drivers feet go. 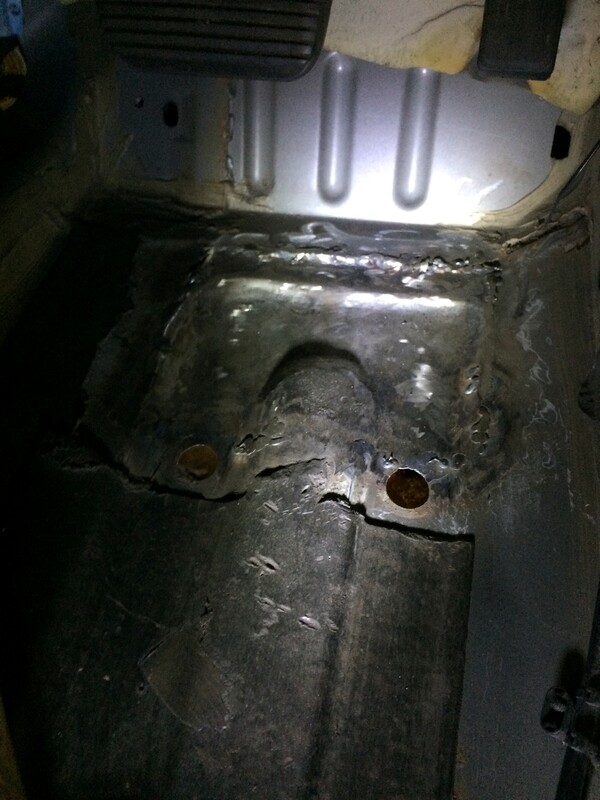 This added panel is flat whereas the floor pan has stepped channels (don’t know how else to describe it) to give some more rigidity to the panel. 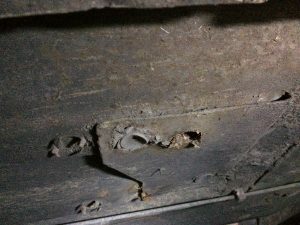 This leaves gaps between to two panels where water can collect and then causes rust to eat through the floor. 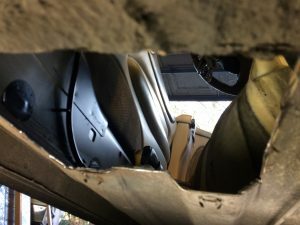 Underside hole & flat panel. You can see the gap between the panels on the left hand side. 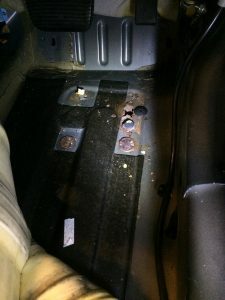 The rust in the drivers side floor was discovered during the 100k service. The passengers side had been repaired previously as part of the pre-delivery service/MOT when I purchased the car. Just over two years later, the drivers side will now cause an MOT failure too. Repair panels are available for £100 (when VAT and delivery are included). 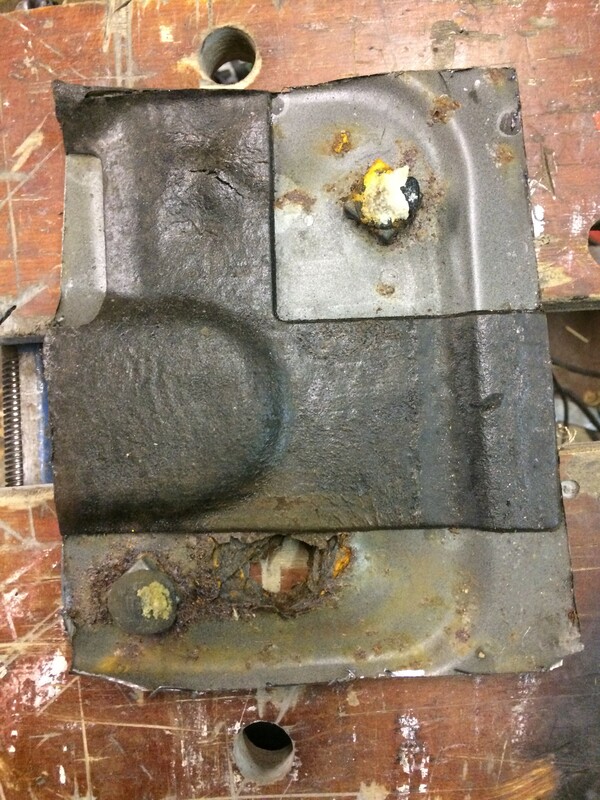 There is some shape to the panel, it is not just flat, (The underside panel is). Under the car there is loads of under-seal which hides the repair and of course there is the carpet on the top side. 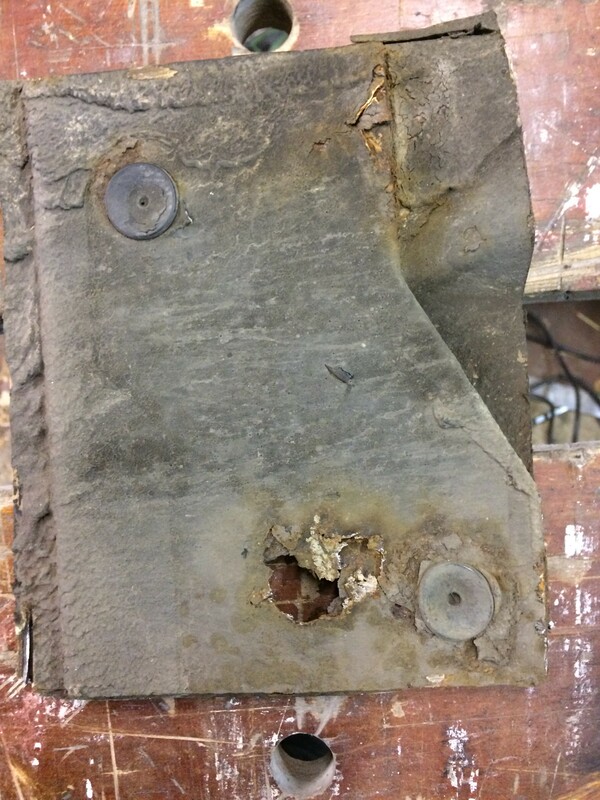 I therefore made up a repair panel to fit. I could just put in a flat panel but I made a jig to fabricate something that looks more like the original interior view. The first challenge is to get to the panel by removing the carpet out of the way. You have to remove the tread plate which is held in by three bolts that are under the decal plate. The decal can be removed by applying heat and carefully prying it off. You can use old credit/loyalty cards to slide under the decal, applying heat as you go along. The decal was removed successfully without damaging it. It is only glued on, so I will use some double sided tape to fix it back in place. Keeping the carpet out of the way is a major priority of mine! 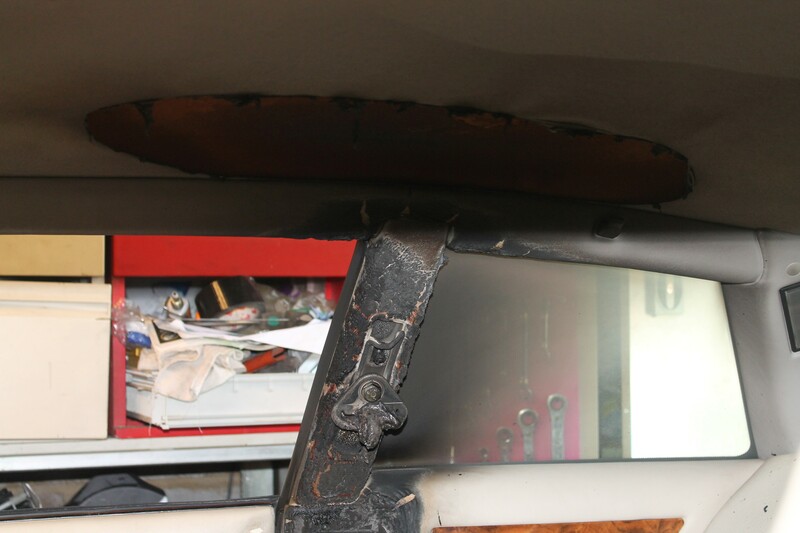 That is how I set light to my XJS interior! I was welding in a plate around the seat belt mounting point from under the car. The carpet fell back onto the welding area. The carpet caught light first. That set light to the seat belt, which burned up the B post and seat back, finally burning the headliner. This damage wrote off the car. A sad end to my 9 years of ownership. Obviously I do not want history to repeat itself! 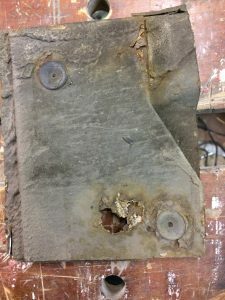 Rough cut hole – looking up close from underneath. Notice the difference in depth of the two channels. Fitting the panel took a bit of work as there is very limited space in the foot-well especially as I did not totally remove the carpet. I also used my brothers MIG welder with an gas feed rather than the no-gas wire welder I am used too. It took a lot of trial and effort plus a significant amount of grinding to get a reasonable looking result. 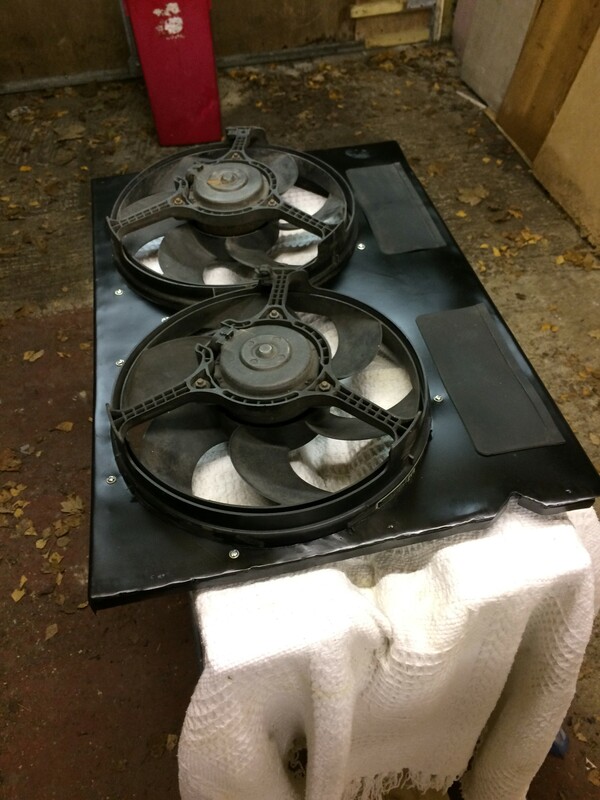 A coat of primer then a few coats of stone chip paint for the underside and some satin black inside finished it off quite nicely. 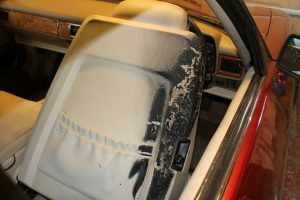 It seemed prudent to spray in some wax protection into any cavity that was accessible at the time (sills and front of foot-well) There was some loose under-seal and paint around the front edge of the wheel arch. I removed the flaky paint/rust and also painted those areas with stone chip paint. 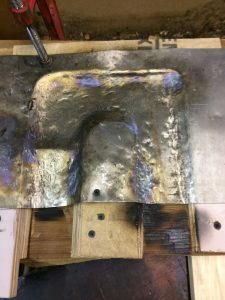 I should have made it entirely from one piece but I think it is OK with extra strengthening parts welded to the sides. As usual, these things evolve and if I was to make it again I would do a better job of it. The same goes for cutting away the plastic parts of the shroud assembly. Changing the design half way through has meant I cut a little too much away for the ideal final solution. As you can see, the fans are now going to be mounted horizontally and I also cut out holes for the two rubber flaps using those from the original plastic XJR6 assembly. I did try to fit in part of the plastic molding around the two flaps as there was the word Jaguar molded into the frame and it would have added to the aesthetics even if it is under the bonnet. Unfortunately it would have been too big and I would only have had one flap in the centre too. 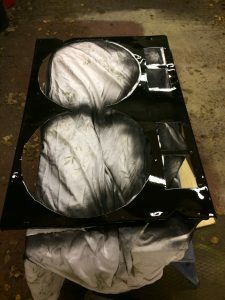 In the right hand picture you can see the finished, fully assembled shroud with the two fans and the two rubber flaps in place. The paint has a satin finish as I don’t like the mechanical parts all being gloss black. Whilst I waited for the paint to dry between coats (primer then a couple of coats of black) I turned my attention to the header tank and the power steering fluid tank. I did look at a few options for the header tank. Finding a solution to the actual location took a little head scratching too. I decided that it would have to go on the left hand side of the engine bay (looking from the front). 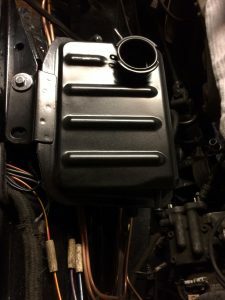 There is no space where the original went because that space is now taken up by the supercharger and associated piping. There is also the requirement to find a space for the power steering reservoir. 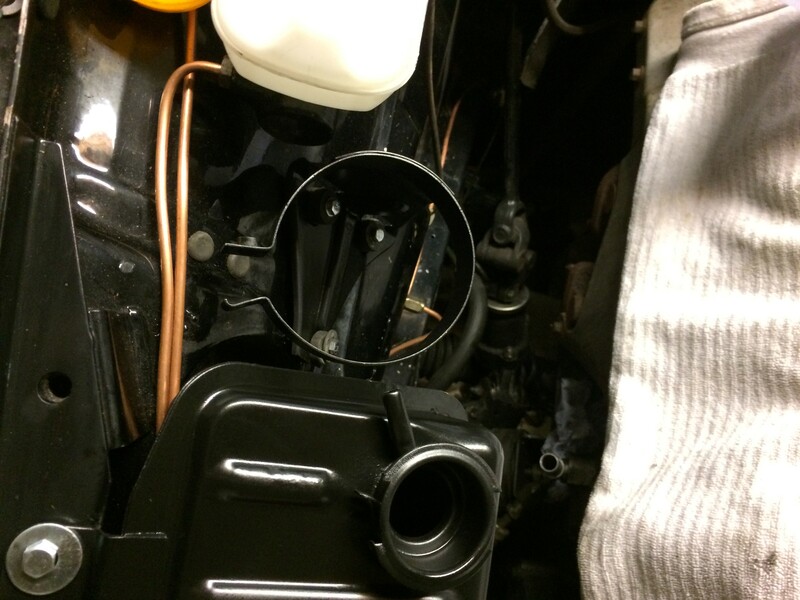 On the series 2 XJ6, the reservoir is part of the power steering pump and mounted on the engine. On the XJR6, it is a stand alone reservoir which is mounted on the wing. 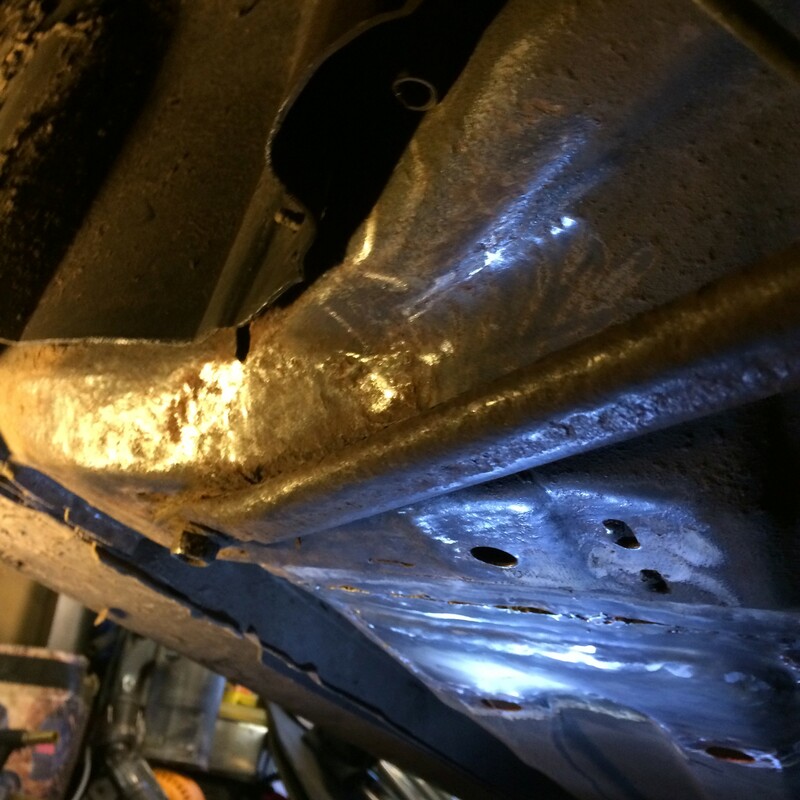 Reading the Jaguar forums, there was a recommendation to use an early XJS header tank. It is not too large and has mounting holes at an angle to be mounted on the wing. I did a little searching and found a second hand one on the well known auction site. There were three to choose from. One looked a little rusty, the other two looked better but all three would require cleaning and repainting. I chose the cheapest one which was about half the cost of the others but it sure did look the worst. 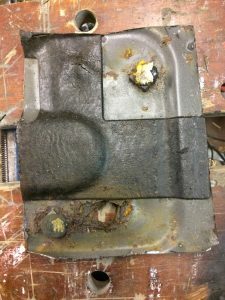 As long as it was just surface rust and not all the way through then it would be fine. After a good going over with a wire brush wheel in my trusty angle grinder it was ready for paint. A couple of coats of primer and then the satin black and it looks fine. If I come across a safety sticker I might just put that on too. I decide to fit it on the mount next to the support braces that go diagonally across the engine bay. The other mounting is further down the wing and will be via one of the rubber mounts used for the air filter box on the XJS. 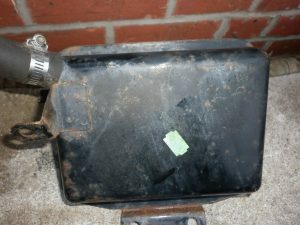 The picture below shows the final painted header tank with just one bolt pushed into the hole to hold it in place for the photo. I had mocked up the location of the header tank and the reservoir so I deliberately left a small amount of space between the header tank and the brake master cylinder. I then spent a little while working out the piping for the power steering. It turns out, the old Series 2 high pressure pipes have the same fittings as the XJR6 power steering pump. 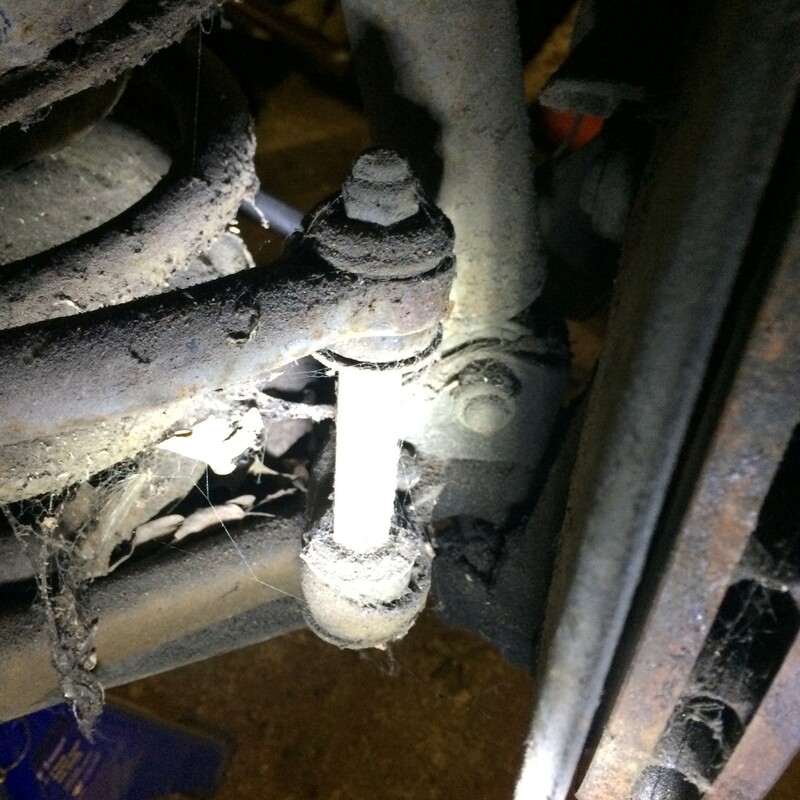 There was an issue with the fixed metal parts of the pipes as I think they originally went over the right hand side of the steering rack tower and this would now be too close to the exhaust. I think the exhaust pipe may hit the steering rack any way, so something else to tackle when I get to it. I happened to have a spare steering rack from an earlier XJ6 that had a different pipe layout. These were much closer fit to the rack and “U” shaped. That meant that I could run the pipes the other side of the steering rack tower and onto the pump/reservoir whilst avoiding close proximity to the exhaust pipes. Another issue I worked on is that the cooling fans were controlled by a dual temperature switch mounted in the radiator. It turned on one or both fans based on temperature. The problem is, I am not using the XJR6 radiator so there is no where for the switch to go. I previously mentioned that although the original Series 2 radiator had a switch in it, the two radiators I now have do not. 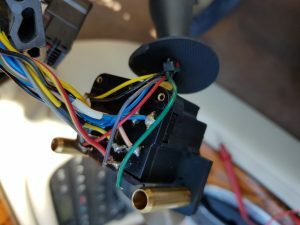 After a bit of searching, I came across the “Car Builder Solutions” web site and they have an aluminum housing for the M22 dual switch that goes inline with the large cooling pipe. The biggest they do is 38mm and so I will use reducers on both sides to fit. This is a slight reduction in diameter but hopefully will not cause an issue. All of the above is ready to fit but as often happens, I ran out of time to assemble it. If I don’t post before next week, I wish you a very Happy Christmas (or Holidays if your religion prefers) and a Happy New Year. I only started this site a year ago and hoped to have the conversion completed way before now! Somehow, Life gets in the way sometimes and it has been a tough year for me personally. Hopefully 2017 will be a great one for me and for you too.